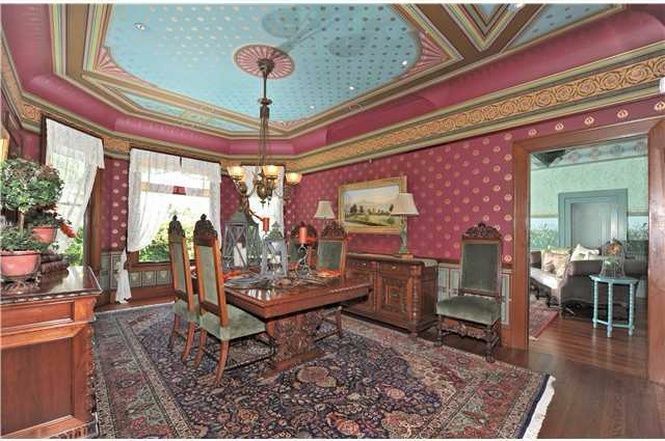 This stunning Queen Anne Victorian estate was built in 1896, and it's since been completely restored to its original glory. In addition to its 3,200 square feet (297.3 square meters) of living space, the house comes with a 1/2-acre fenced yard filled with beautiful English gardens and manicured lawns. In this photo of the outside of the home, you can see one of two large porches perfect for entertaining. The elegant front door was handmade by a master craftsman, and it opens into a foyer that's just as beautiful as the exterior of the house. 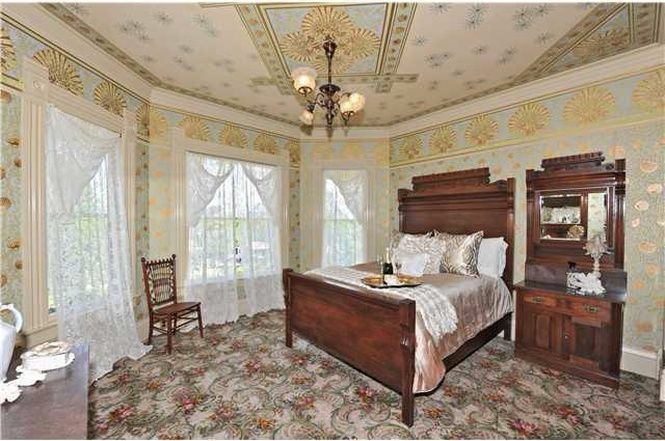 Here, you get a taste of the gorgeous wallpaper found throughout the home. Beautiful hardwood floors are covered with elegant rugs. 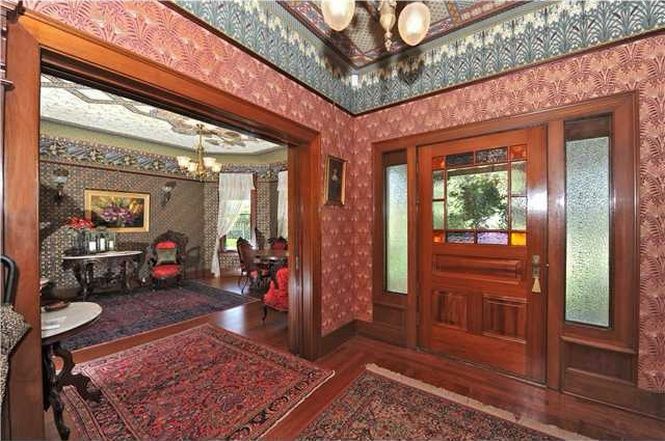 Make sure to note the lovely stained glass in the window of the front door! 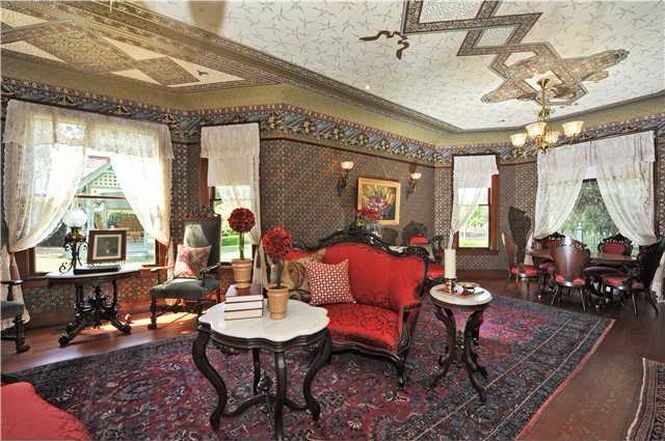 The living room features incredible, eye-catching designs on the ceiling. The table tucked away in the lovely bay window on the right would be the perfect place to catch up with a friend on a sunny day! This exquisite fireplace is the centerpiece of the living room. It's the only fireplace in the house, and no efforts were spared in making it beautiful! 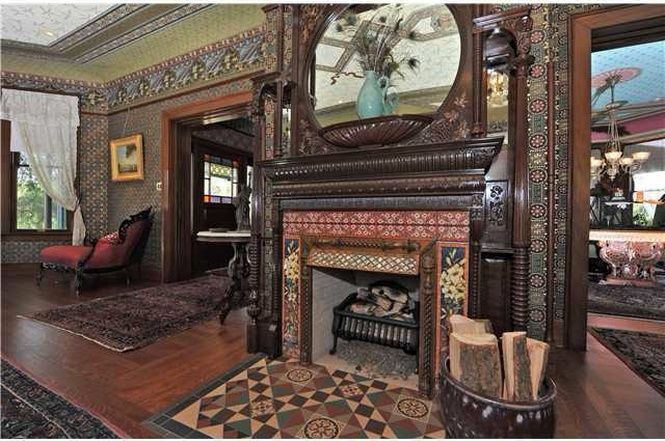 The intricate wooden mantle perfectly offsets the colorful, detailed tile patterning. 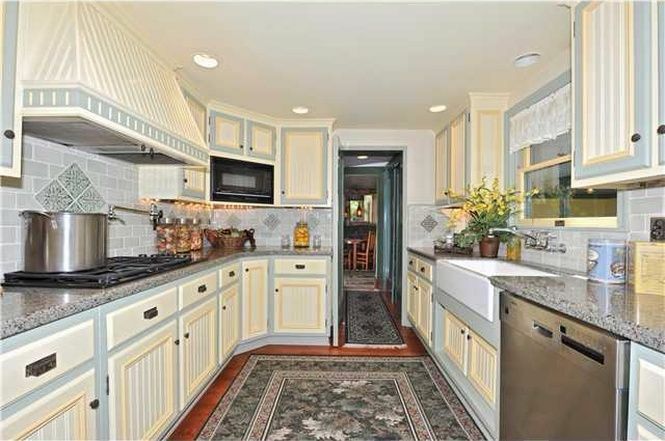 The kitchen has been fully modernized, but it retains all of its Victorian appeal. Brand-new appliances coexist side by side with charming cabinets and a lovely tiled backsplash. Here we have the dining room, which is perfect for hosting elegant dinner parties. A simple chandelier illuminates the dining table, and eye-catching designs on the ceiling make the entire room look like a beautiful painting. The home features four bedrooms, each with its own unique style and charm. This one is filled with natural light thanks to the set of three large windows, and the painting on the ceiling ensures that anyone lying in the bed will have plenty to look at as they fall asleep. 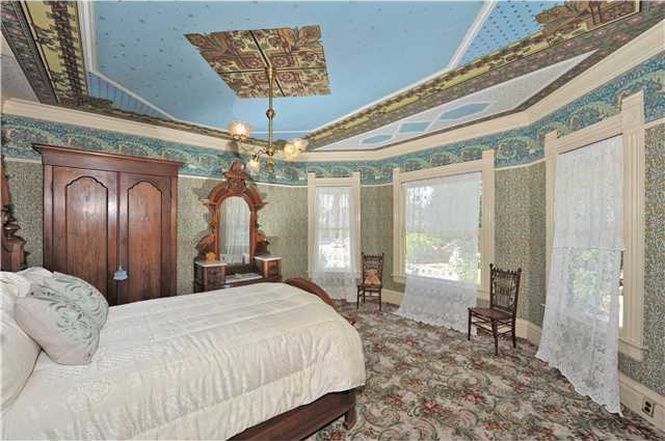 This one also features artwork on the ceiling, but it has a totally different feel from the bedroom seen above. 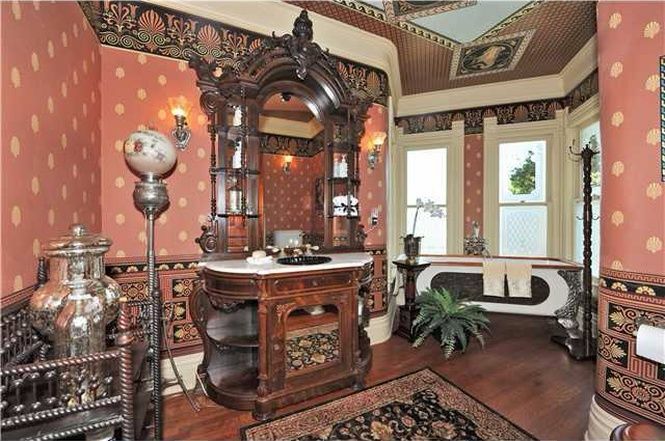 Here we have one of three bathrooms, and it's just as ornate as the rest of the house! Gorgeous wallpaper lines the huge space, and a solid wood vanity gives the room a very Victorian feel. A freestanding tub is tucked away in a small nook filled with natural light. 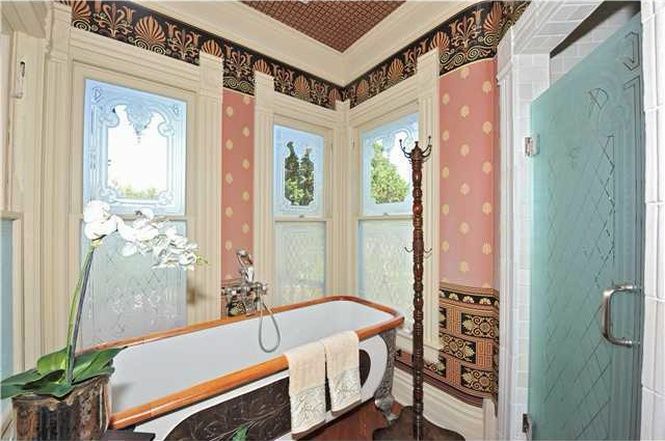 The decorative frosted windows ensure that nobody can peek in while you're bathing! 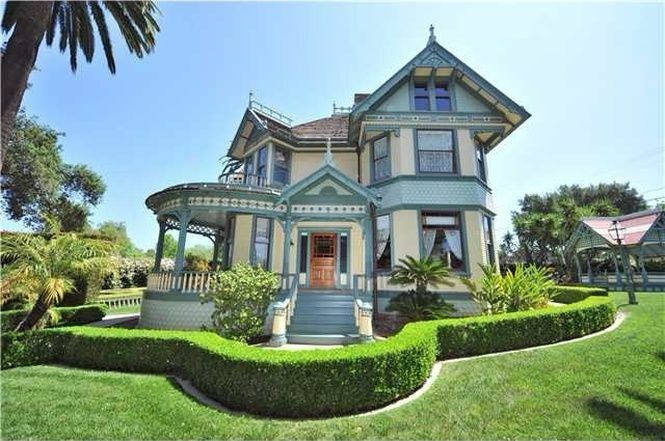 Would you like to make this lovely old house your home? Let us know in the comments, and be sure to share this article if you loved it!